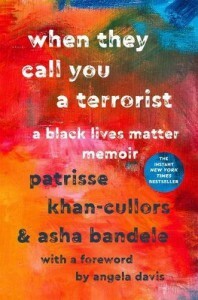 When They Call You A Terrorist -- Patrisse Khan-Cullors brings light and hope - "So it goes." Patrisse Khan-Cullors' life story is not an easy one. Living in Los Angeles with her family, including a brother who we will learn suffers from schizoaffective disorder and a mother who works from sun up to well after dark to keep her children together, sheltered and fed is not easy, but it is what she knew as a child. There are far too many examples of things that should not happen in this book. Sadly, none of it is surprising, despite the shock that these things happen - repeatedly. I found the story of her brother, a gentle man with a misunderstood illness which was criminalized, most upsetting. Through the years I have desperately tried to get some of the larger mental health organizations to understand that police should be the very last people involved in mental health checks or emergencies. I have often been met with complete agreement and little, if any, follow-through. So I gritted my teeth as I heard yet another story of a person penalized for being ill and the trauma brought on the entire family because of the stupidity and arrogance of those involved in this system. While reading this book it's easy to see how many ways this system is broken. It's easy to feel almost beaten down and deflated. But what makes Patrisse Khan-Cullors and her fellow BLM founders, as well as others who have organized and planned behind the scenes to push for change to happen is the hope she clearly still has. She would not be working so hard if she didn't believe that things could change, and that's how I left this book. Her final words are uplifting, spirited, nurturing, gentle and kind - even as they continue to push us toward what often feels like insurmountable change. Knowing that women like this exist in the world is one more thing that gets me to the meeting after work when I'm tired and would rather veg out. This is one woman's story. Hers is both typical and entirely unique. Her story tells us much about our current political and structural systems in the US, and how much needs to change. I hope she is a harbinger of the generations to come. 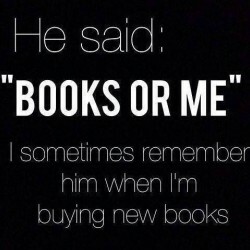 I think she is.